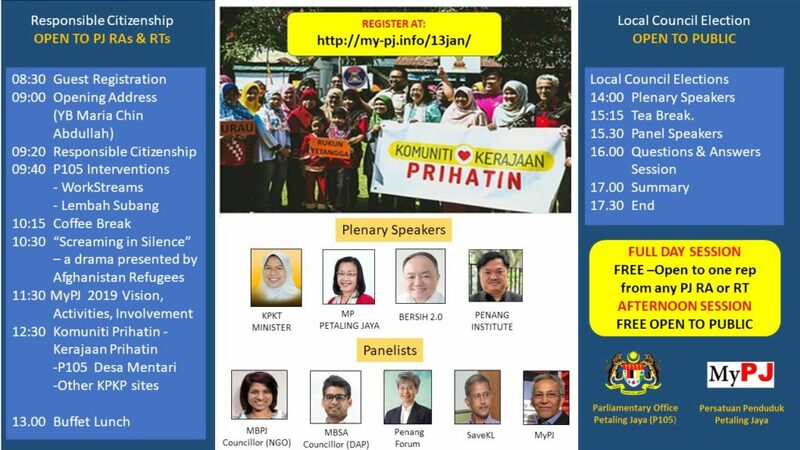 Join us for a morning of discovery and see how ordinary citizens are changing and transforming Petaling Jaya positively by working in an integrated and synergistic partnership. 2019 , a time for all PJ folks to contribute to a BETTER PJ through responsible citizenship. As Pakatan Harapan take on the Federal Government, the rakyat desire for a greater say in decisions that affect them locally become louder and more urgent. The call for a return of the third vote will empower the people to select councilors and mayors that will listen to the people and empathise with local needs. Register for this FREE Sunday afternoon forum and find out how soon LCE will be implemented and how it will transform your community and city.